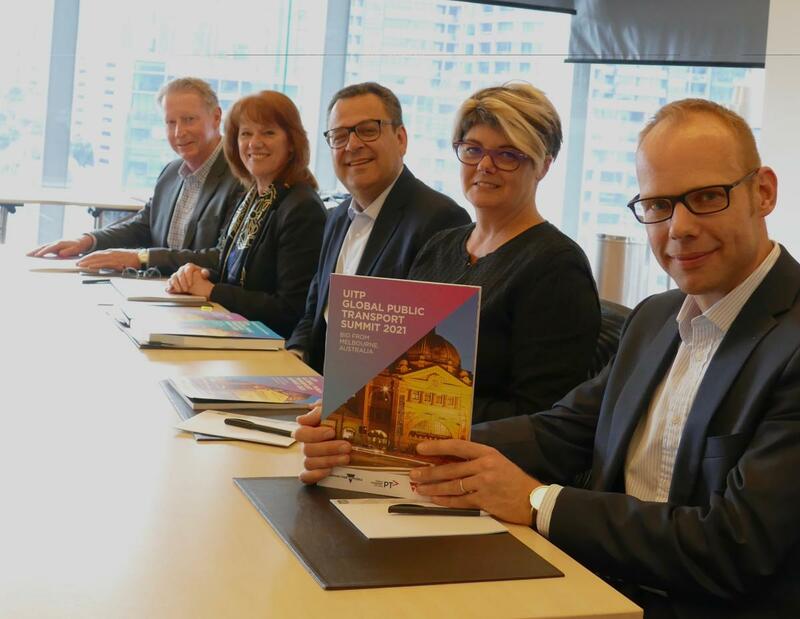 UITP Secretary General, Mohamed Mezghani is in Melbourne this week to sign the UITP agreement with Public Transport Victoria to host the 2021 Global Public Transport Summit in Melbourne. The signing was hosted at the Melbourne Convention and Exhibition Centre, which will be the venue for the Summit. The UITP Summit will bring the best of public transport innovations, best practice and expertise from around the world to Melbourne in 2021.